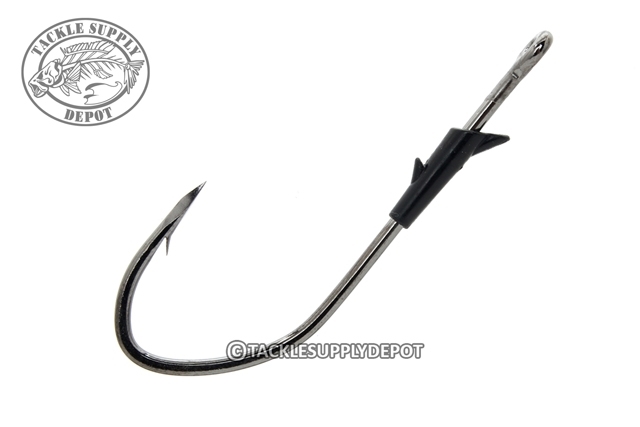 The Lazer Trokar Big Nasty Flippin Hook takes the flipping game to the next level. Featuring an aggressive bend design which is engineered to keep fish pinned even when they are hooked deep in the salad. With the smaller gap design compared to a standard flipping hook the Big Nasty accommodates a different array of plastics for an unbeatable flipping arsenal. Ideal with fishing beaver style baits, thin profile craws or slender creatures.